How to keep your family strong and united– for generations. Our work, plus contemporary studies and the cumulative experience of professional advisors, provided the answer: families who remain strong and unified across generations share many specific ‘elements of success’ in common, including how they intentionally teach and transmit those elements to succeeding generations. Are you intentional about the outcomes you seek to achieve in your business and personal life? When you come right down to it, everything important in life begins with an intention. All that we say, do, create, plan for, build, mess up, and ultimately achieve is the result of behavior that we produce on purpose. In every sense, our intentions create our reality. 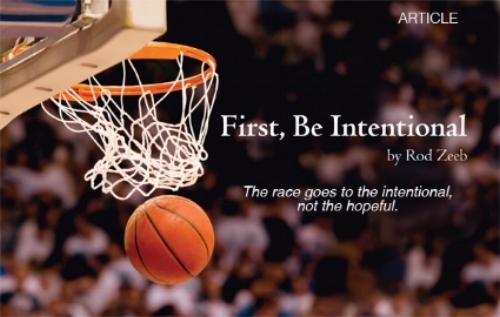 In this article by Heritage Institute CEO Rod Zeeb, the role of intentionality in achieving success is examined, and practical steps for becoming more intentional are explained. The ultimate goal of Family Governance is to create a high-performance, multi generational team in which the succeeding generations are participating in decision-making, leadership activities and hands-on money management long before their parents pass on. This article is based in part upon the novel What Matters, co-authored by Rod Zeeb. It introduces the book's main character, Martin Forrestal, and explains why it is so important to ask that most fundamental of all questions: what matters to me, and to my family? This article introduces the concept of Heritage Design, and shows how it works to enhance good financial planning and estate planning. Leadership is a vital trait for family members to develop. In this article, Rod Zeeb gives examples of the importance of leadership skills.